We have been in our house for almost five years now…sounds crazy to say! We first focused on the living room, family room and nursery and you can see those here, here and here. 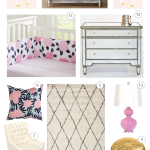 It was now time to spend some time updating our Master bedroom. 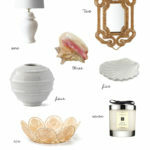 I will be sharing more on how we styled our nightstands next week. This dressing room in our Master has been a bit of an eye sore for some time now. 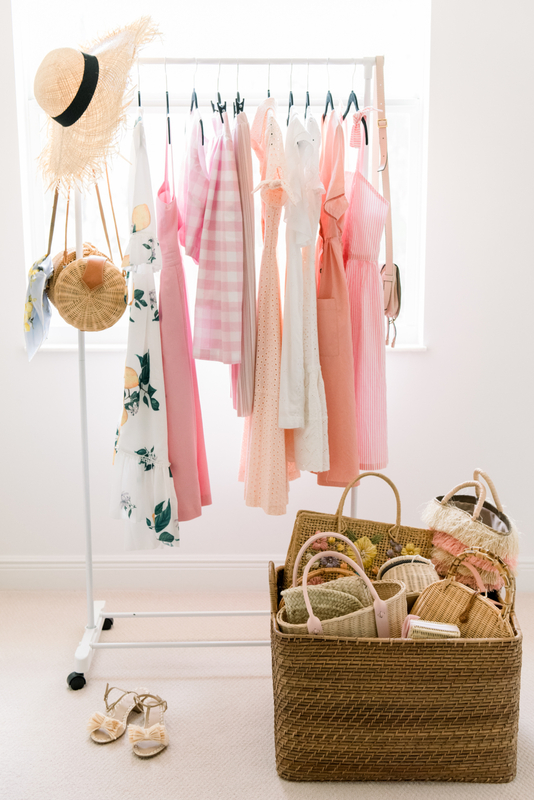 Our friends from Luxe Report Designs came over to show me how I could transform into a feminine and fun area to get ready. 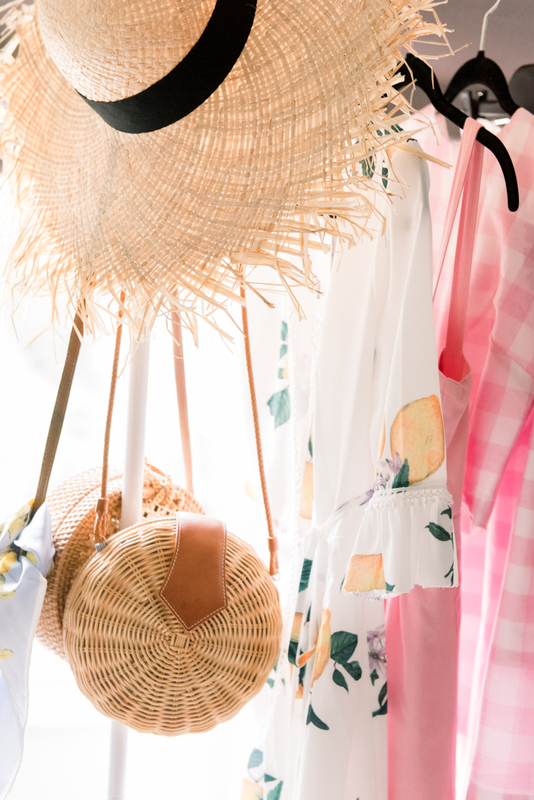 I use this rolling rack to hold clothes we have for upcoming shoots and to keep our current accessories easily accessible like these wicker and rattan bags. 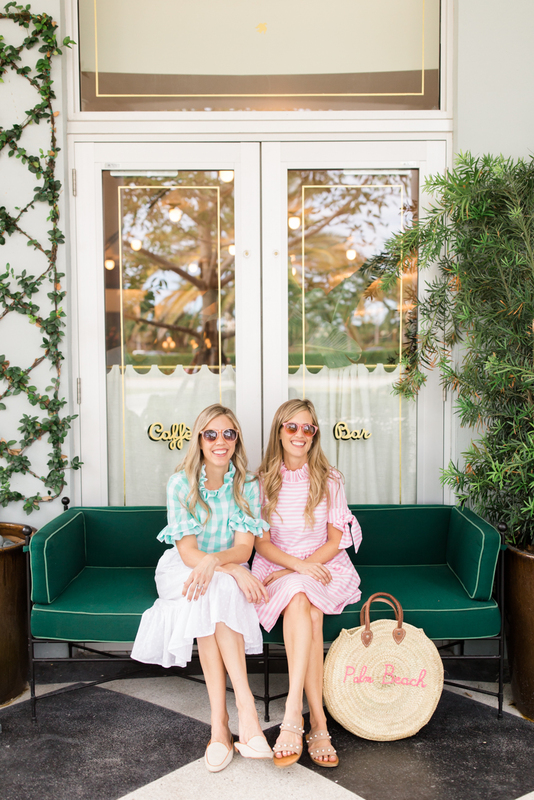 The Luxe ladies found this oversized rattan storage bin from West Elm to hold the bags. 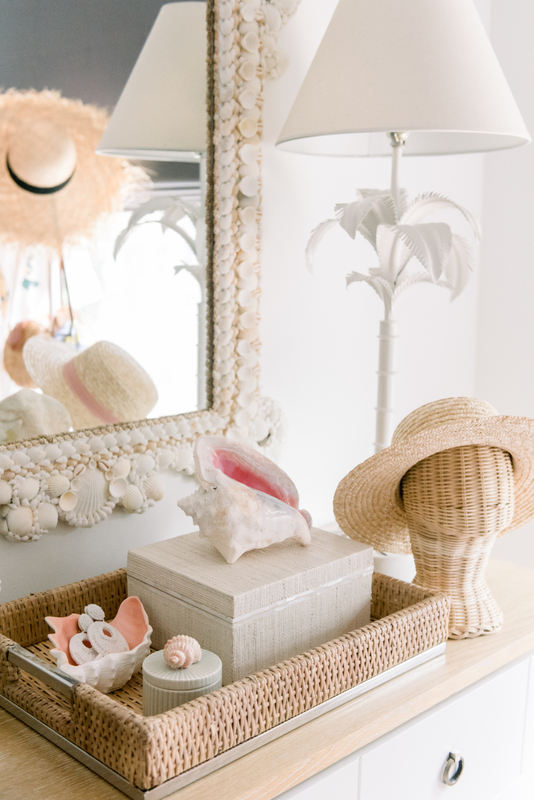 I love all the accessories the Luxe Report Designs picked to style the dresser – the palm tree lamp, Aerin rattan tray and raffia jewelry box from Williams-Sonoma, shell box, shell dish and rattan hat stand. 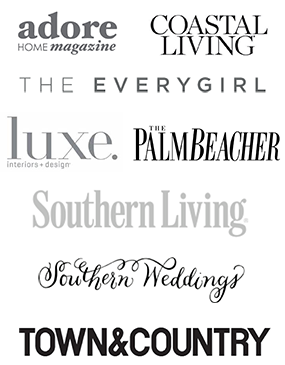 They added a few of my favorite coffee table books – Claiborne Swanson Frank’s new book Mother and Child, Christian Louboutin and C.Z. 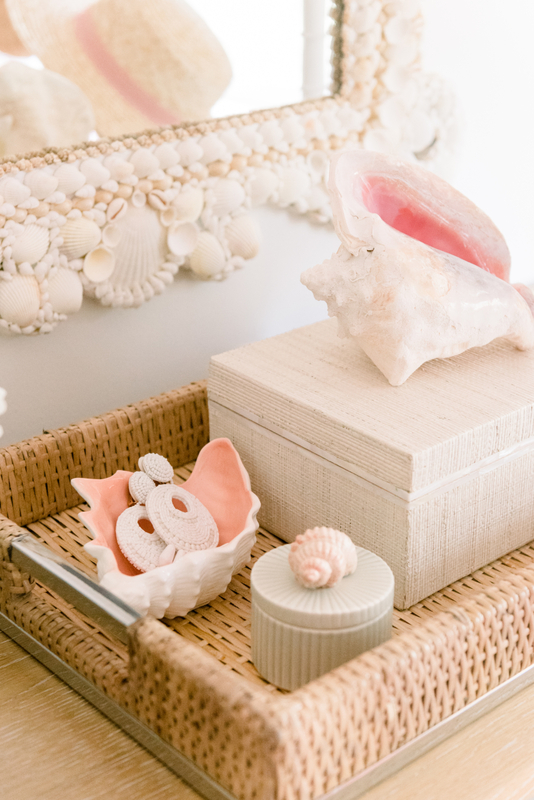 Guest’s American Style Icons – along with a raffia basket and scallop paper orchid baskets from Lindroth Design. 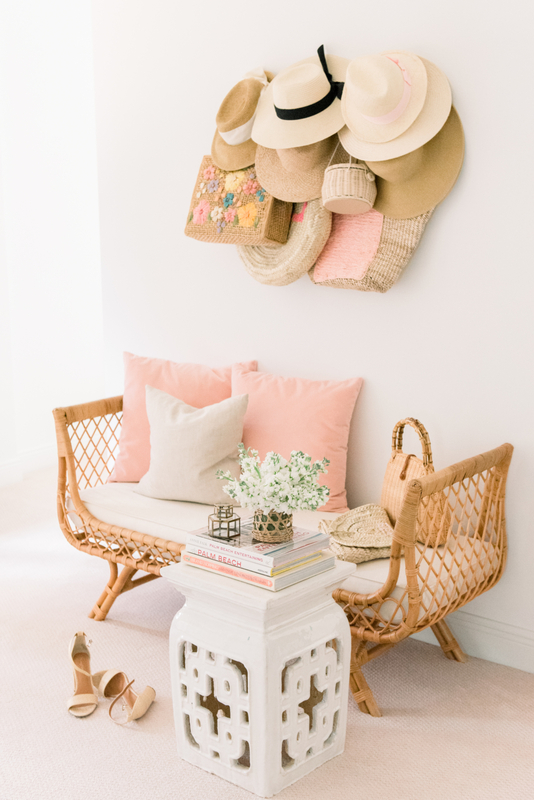 This fun rattan bench from Grandin Road and garden stool from Frontgate create a little sitting area vignette with the hanging hats and totes above. 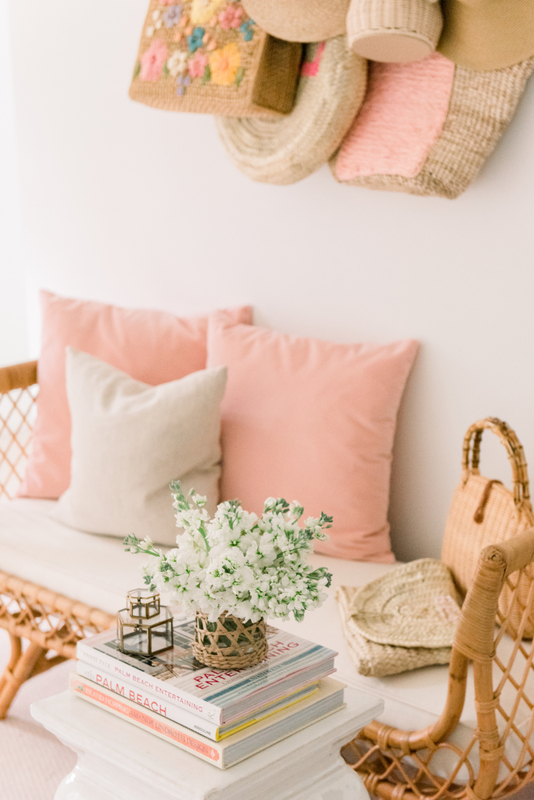 I was so excited to receive a copy of Amanda Lindroth’s new book, Island Hopping, so of course had to add it to this room. 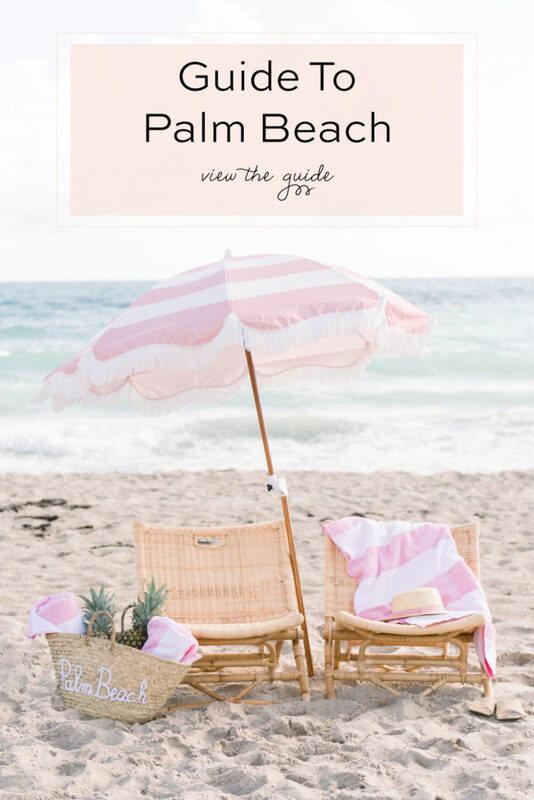 There is so much inspiration to be found inside those pages! 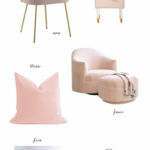 Living: Danielle’s Nursery Design For Baby Number Two! 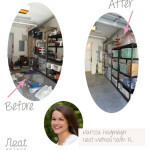 Living: Beth’s NEAT Garage Makeover And GIVEAWAY!